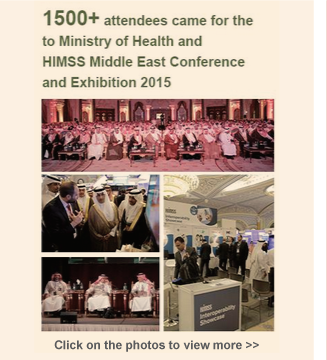 THANK YOU FOR YOUR SUPPORT AT HIMSSME16, 12 - 13 OCTOBER! Join us next April to continue Vision 2030 discussions. 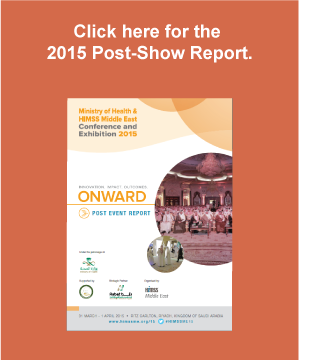 Saudi Health Sector Set for Boost from National Transformation Plan. As part of the Kingdom's National Transformation Plan, announced on 25 April 2016, there will be a bigger role for private players, increased spending on healthcare technologies and more training programs to develop capabilities. More investments will be injected into the primary care sector as well. 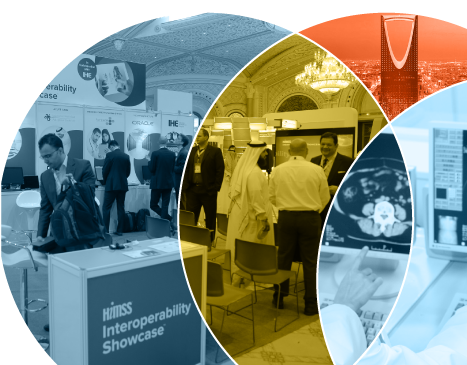 This 270 billion Saudi Riyal plan will set Saudi Arabia on a fast trajectory to growth in healthcare, which is projected to be a USD 24.7 billion market by 2020. Aligned with this vision and in this current climate of SMART patients, competition and outbreaks such as the recent MERS scare, there is a crucial need for healthcare providers to keep up with the latest government developments, build the resilience and strengthen capabilities to cope with emergency situations, chronic illness, gain knowledge about healthcare insurance, and ultimately apply best practice to improve patient care. 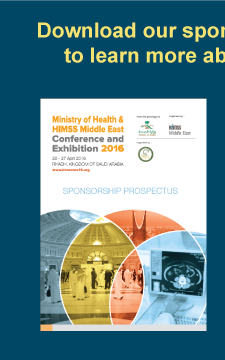 The Ministry of Health and HIMSS Middle East Conference & Exhibition 2016 is designed to help policy makers, healthcare providers and vendors alike achieve world-class standards. 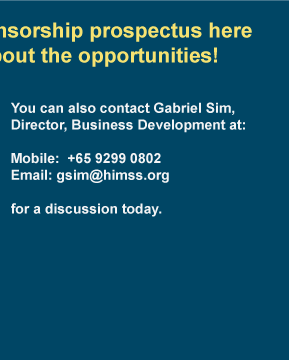 Ministerial Roundtable and a New National Vision for eHealth Implementation DRGs as a Roadmap for Healthcare Organizations and Payers Can the IT department contribute to the financial sustainability of the organization?